The Philippines is a country with a lot of festivities, mostly that are related to patron saints. 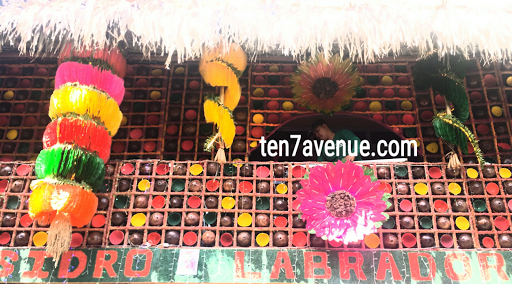 The month of May is the most celebrated month in many parts of the country as many farmers celebrate the Feast of San Isidro Labrador, who is known to be the patron for good harvest. This is a familiar feast in the country as many of the rural areas or provinces are engaging in agricultural activities. This is a also way to show gratitude due a bountiful harvest amidst the production challenges due to dry spell or worse El Nino phenomenon. 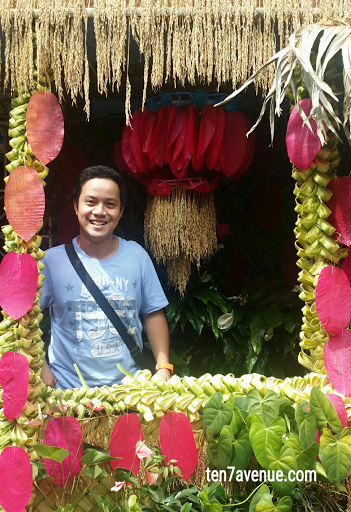 Pahiyas Festival is really inviting in the sense that it is very colorful and the community involvement is very high. The houses are decorated with colorful kiping and there are vegetable chandelier (oh yes, these are getting much attention from tourists - i guess it has more than 50 photo opportunity within an hour of sitting in a corner). 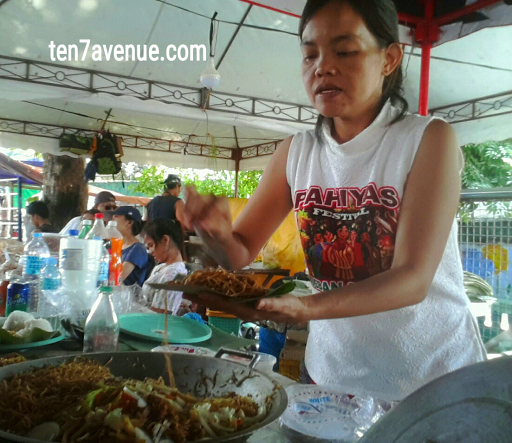 The participating food stalls join the vibe of the Pahiyas Festival decorating their stalls with kiping and other ornaments, too. The decorated houses are very beautiful to see at night according to the locals, because the houses become more vibrant with lights everywhere. Anyways, I only had a day to go around, still beautiful to see these houses. There's a procession involved in this festival but the tourist police told us that it happens after lunch, but I wasn't able to catch it as I try to escape the traffic going back to the van I joined in. 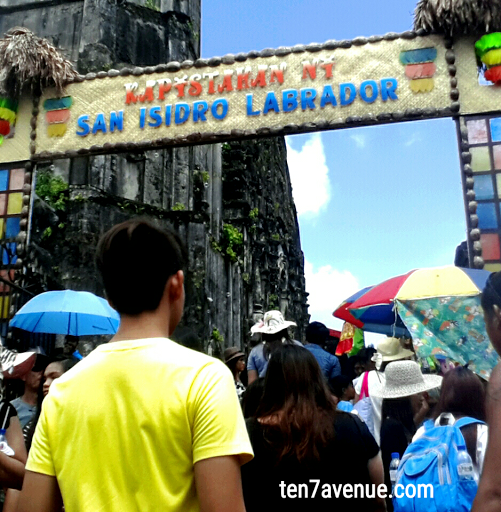 Yes, there are so many tourists in Lucban, Quezon during that festival and it creates heavy traffic going the place and there are closed roads as well. 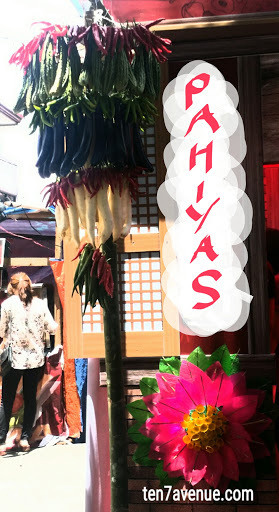 As a whole, the Pahiyas Festival experience is a fun experience though I thought there will be many free food stalls. I met a few people who also joined the Pahiyas Tour (yes, I am a joiner) and some local tourists who did the Pahiyas Tour a do-it-yourself way. 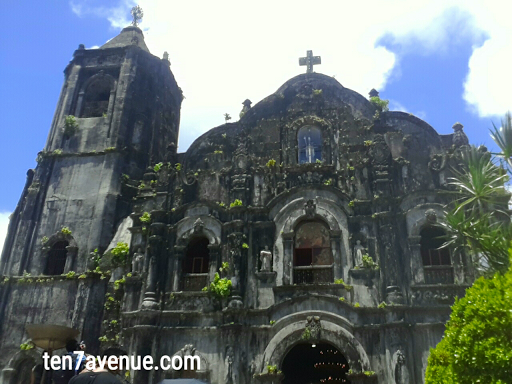 Have you visited Pahiyas, too? Hope to hear from you. 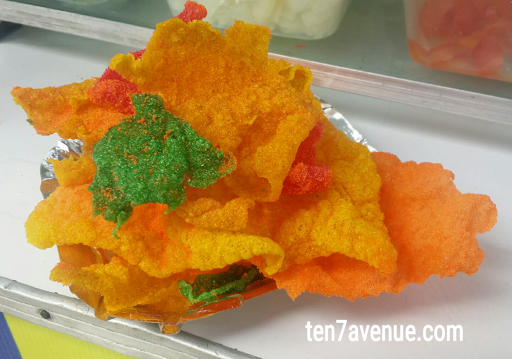 Thank you for visiting my avenue, www.ten7avenue.com! Enjoy!